Bucket collecting is a fabulous way to raise funds for Woodlands Hospice and the more volunteers we have the more money we get in our collection buckets! We will provide T-shirts, buckets, collection permits and transport to and from the collection point if required. All you need is a smile and plenty of enthusiasm to make the collection a success! You would work no longer than a two hour shift. 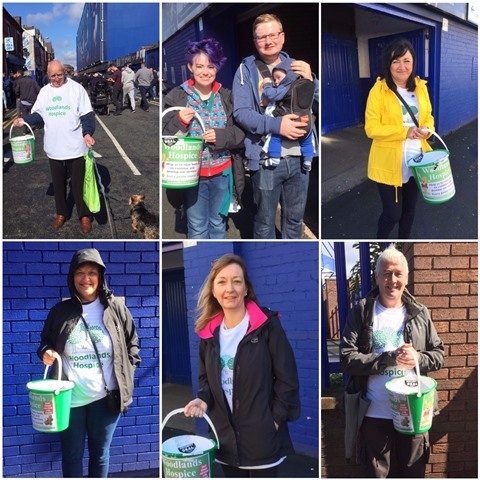 Keep an eye on this page for future bucket collecting volunteer opportunities and if you can spare a few hours please contact Christine by email christine.peach@aintree.nhs.uk or by phone on 0151 529 8117.